I’ve been discussing all things food with some very close friends and in order to be available and accessible to everyone I think I need to clarify a few things regarding the type of foods available as in every country there are differences. From what we call things to the type of fruits, vegetables & cuts of meat available. Generally speaking here are some tips that should help with cooking my recipes. A tajine is a terracotta dish found in Morocco, it’s an integral part of any Moroccan kitchen & gives another dimension to the taste of the food, I can’t put my finger on it exactly, but a berber pizza cooked in a tajine has a different flavour to one cooked in the frying pan. 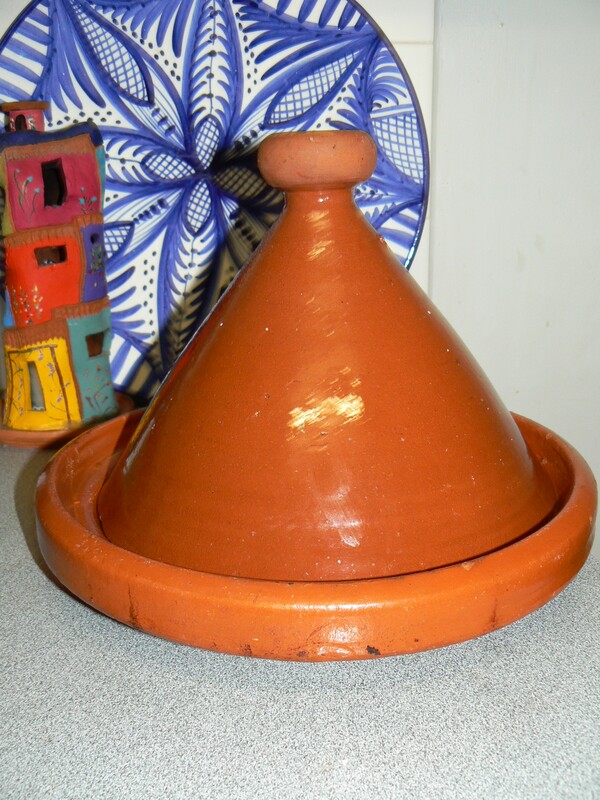 You can also get cast iron tajines or use a cast iron saucepan such as le creuset or chasseur. 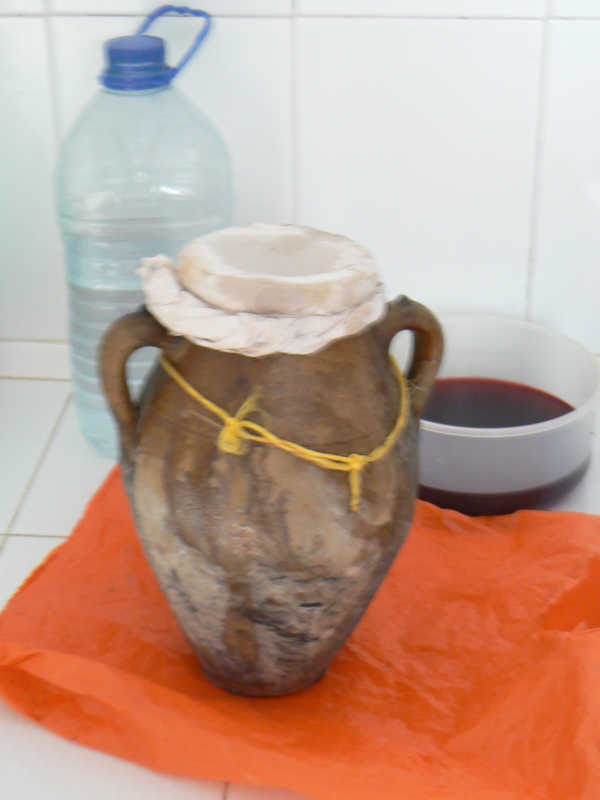 A tangia is another type of earthenware urn (it looks a bit like a deep vase) used to slow cook lamb or chicken in the fire that heats the water for the hammam in Morocco. A Hammam is a communal bath house/steam room & the fire is burnt using wood and runs all day. In Morocco you take your tangia to the back of the hammam where a man places it in the fire and keeps an eye on it, you come back in 5 hours or so and voila dinner is ready! The best substitute is a casserole dish with a lid, ceramic dishes are the best for slow gentle cooking. You could also use a slow cooker. In my opinion any meat on the bone will have a richer flavour than meat removed from the bone, but I guess it also helps to cook the meat as well, in a tajine you can use any cut of meat that is readily available to you, I predominately use BBQ Lamb chops otherwise known as fore quarter chops, you could also use loin chops or shanks, but you would need to ask your butcher to cut up the shanks. You could also use any meat that likes or needs to be cooked slowly like oyster blade steak or beef cheeks. Maryland chicken, drumsticks or thighs with the bones intact would also work very well too. Although most Moroccans will say chicken goes with chermoula and nothing else! Chicken is always and I believe should always be free range & organic where your budget allows which is one of the reasons when I make risotto or something similar I only use a small amount. Parsley – I use is always Italian flat leaf parsley & unless I am using it in a soup or otherwise stated the leaves are removed from the stalks. Olive oil – I always try to use Extra Virgin Olive Oil, which is the best for flavour and general cooking. Extra Light Olive oil is not low fat! Salt & Pepper – I use Murray River pink salt flakes because they’re a bit special, but don’t seem to be as salty as normal salt. Pepper is freshly ground, both of these are to your taste, but remember you can always add more salt, however once you over salt something, there is no getting rid of the saltiness. Spices – I always have Cumin, Paprika, Smokey Paprika, Ground Coriander, All Spice berries, Ground Ginger, Saffron, Ground Cinnamon & Cinnamon Sticks on hand as staples in my spice cupboard. Herbs – I always have fresh parsley & coriander on hand as I use them almost every day, I buy mint as required although I do try to grow them all, they don’t seem to succeed as well in pots. Thyme & Lemon Thyme are successfully growing in pots so I have them on hand as well as Dried Bay Leaves. Tinned Crushed tomatoes, dried pasta, Long grain Rice, Arborio Rice, Tinned Lentils, Chickpeas & Cannellini Beans, Plain & Self Raising Flour, Bi Carb Soda, Baking Powder, Sugar, Caster Sugar & Brown Sugar, Cocoa, Carrots, Potatoes, Brown & Red Onions, Australian Grown Purple Garlic, Tinned Tuna, Extra Virgin Olive Oil, Vegetable Oil & Preserved Lemons. Milk, Tasty Cheese, Harissa, Olives, Garlic Dip, Ciabatta Rolls, Lebanese Flat Breads, Free Range Eggs, Butter. Seasonal Fruit & Vegetables. I will as we progress provide recipes for Harissa, chermoula, pasta, pesto, gnocchi among other things..